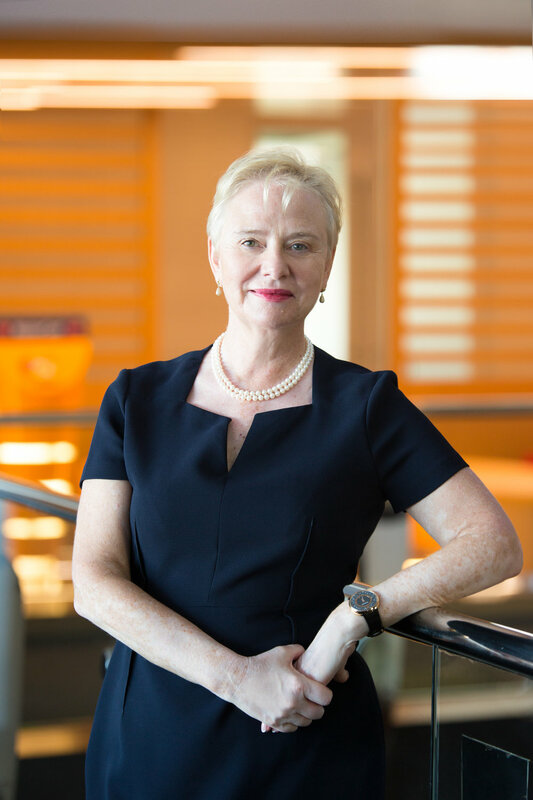 For Ann Cairns, the concept of diversity and inclusion is not just an internal affair at global corporations, it must be embedded into all levels of operation, from the products and services a company offers its customers to providing universal parental leave for its employees. Recently appointed as Vice Chairman, Cairns previously served as head of all Mastercard markets outside of the US, so her unique brand of leadership can be seen from London to Lagos. “Bringing people who are undeserved into the financial system is actually helping diversity and inclusion. And you can't do that actually without starting to think about identity”. In Hayley’s interview, Cairns describes the link between personal identity and inclusion, opening up financial products and services to marginalized groups, particularly women who, in many countries cannot obtain passports or drivers licenses. Without identification, women are unable to access credit. Now, Cairns is leading partnerships with governments to build more inclusive identification systems. “The real thing that inspires me is that we're using the brand to solve real everyday problems for people around the world”. 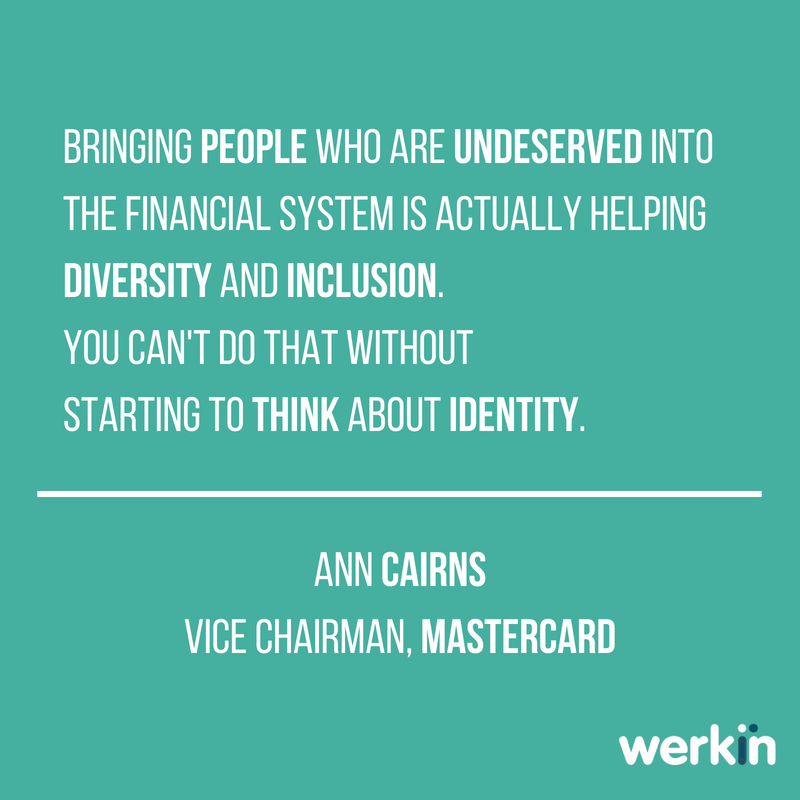 Beyond Mastercard’s products, Cairns leads the company’s global drive to accelerate women into senior positions. “I personally feel that one of the best jobs in the company that trains you to grow up to be a senior manager is running a country, because in that situation you’re basically the CEO of the country you're dealing with… It's a really good general management position. And when I came in I thought ‘I really want more women country heads’”. As more global companies commit to closing their gender pay gaps and diversifying top positions, Cairns notes, “the key is first accepting that you want to achieve a balance. Then, it's really measuring where you are. And then it's having a real conversation, from the way that you run the company, about what can you actually do about it and why. What can we do for our whole company structure, what can we do for society”? How did Cairns get to a position where she can exercise such bold decision-making? By taking chances on new opportunities. “When you're young, you can't really make a mistake. You should do what you love and enjoy what you're doing and reach out for the next thing”. To hear more from Hayley’s interview with Cairns about gliding like a swan while paddling like a duck and the value of honest feedback, listen to the full episode on iTunes or SoundCloud.